PIN - SARAH COVENTRY. 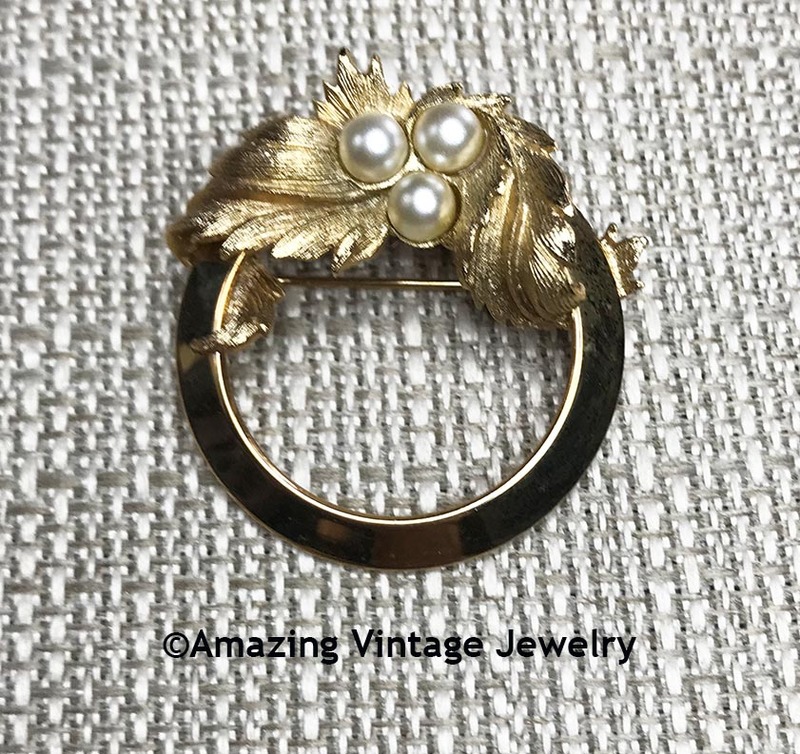 "ENDEARING" FROM 1965 A GENTLE, FLOWING GOLDTONE CIRCLE WITH TEXTURED LEAVES AND 3 FAUX PEARLS, THIS PIECE WILL BE NEAR AND DEAR TO YOUR HEART. 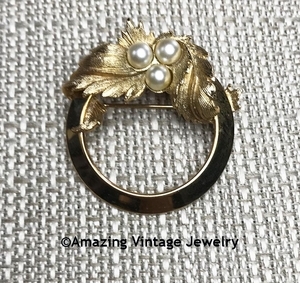 1 3/8" IN DIAMETER. VERY GOOD CONDITION.